We visit our city from time to time. Long ago I finished high school here, graduated from the pedagogical institute (now a pedagogical university), had my compulsory military service in this city, and then, worked at the above-named institute for twenty years. 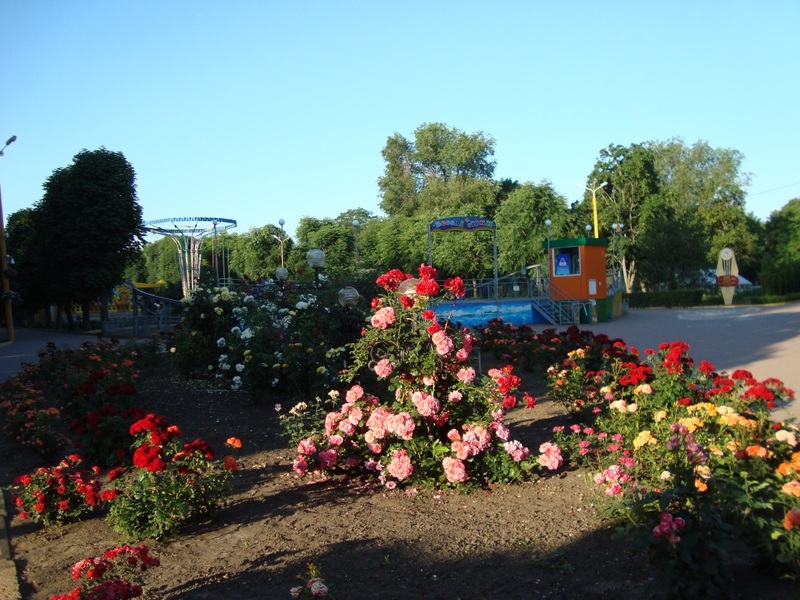 A good part of my life – boyhood, youth and my most productive mature years – had passed in Kirovohrad. For me the city is like a living being, and each time I arrive in it the city starts throbbing with what I call “avatars” — memories of my distant past and present-day realities. The first thing that caught my eye this time when I got off the train at the local railway station two weeks ago were soldiers. Quite a number of them. Definitely, they were reservists: they looked noticeably older than those regular conscript who are usually called up at the age of 18 or 20. Their uniform was also different. They wore camouflage gear, which made you think they were ready to be in combat right the next day. 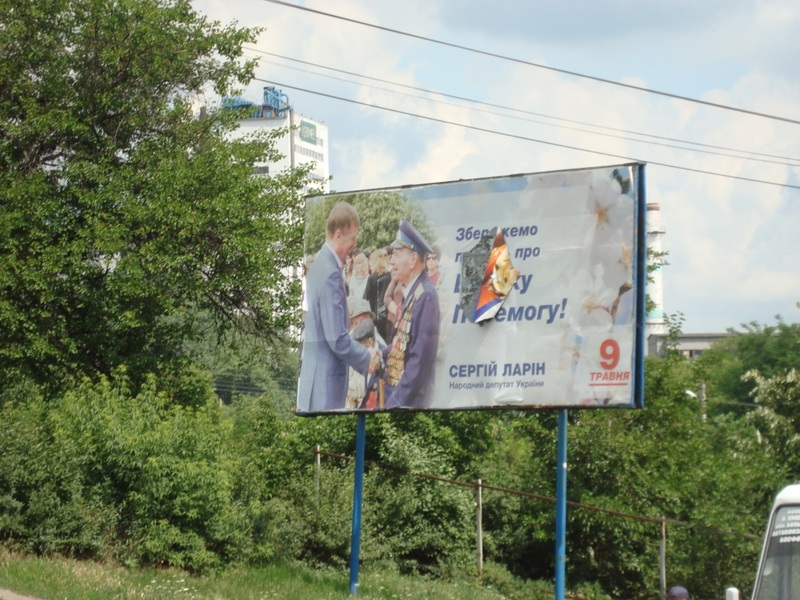 I don’t know the official figures, but the impression I had got from reading the Internet media was that more young men from this city had died in the current war than they had died from any other region of Ukraine. Later I saw a few boards in the streets on which the fallen citizens were portrayed. The war is going on within the city too. The war is bloodless, it’s the war of words and characters, but it’s no less stubborn. The imperial (read: Soviet, Russian) and the national (Ukrainian, pro-European) elements are poised against each other. Last April the Parliament in Kyiv approved de-communization laws that ban communist and Soviet symbols. By the end of the six-month period all communist monuments will be pulled down and more than 20 cities bearing communist-related names will be renamed. 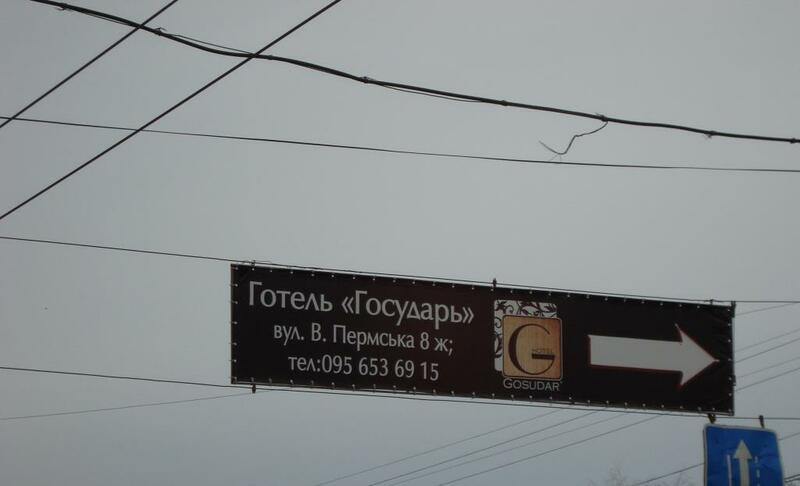 The imperial camp, considering the turn of the 20th century to be the golden age of the city development, tries to restore the atmosphere of those days by fixing “tsarist avatars” – including emphasis on historical events, names of streets and the name of the city itself. Monuments and sights of the communist era are defended by them for the same reason too: the Soviet communism is a cousin of the tsarist absolutism as far as the preservation of the Russian empire goes. The purpose of both is to abolish the Ukrainian identity. 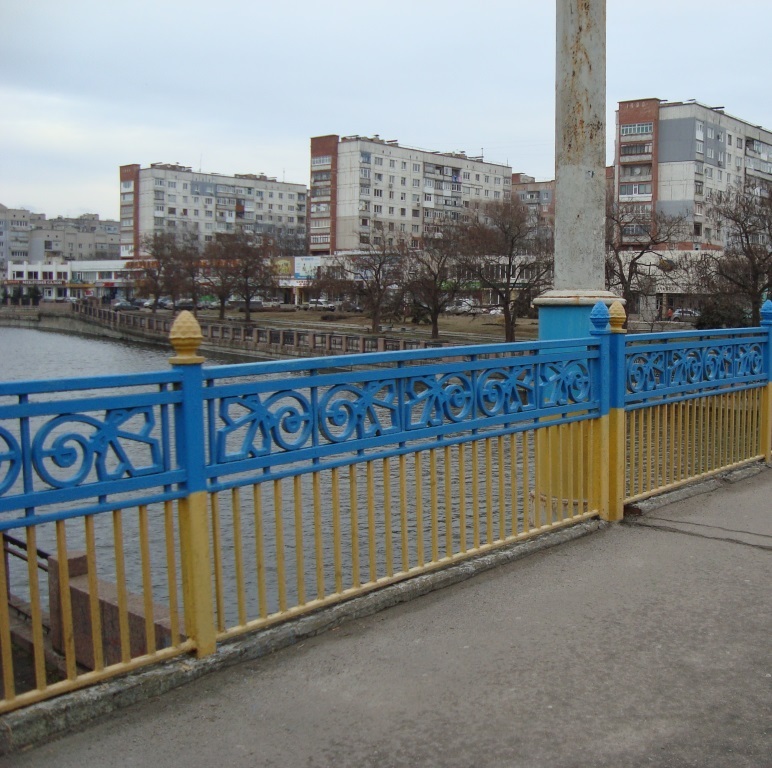 That is why in the city center you may see the blue-and-yellow bridge across the river (Ukrainian colors) and over it – a banner advertising the hotel Gosudar (The Tsar). 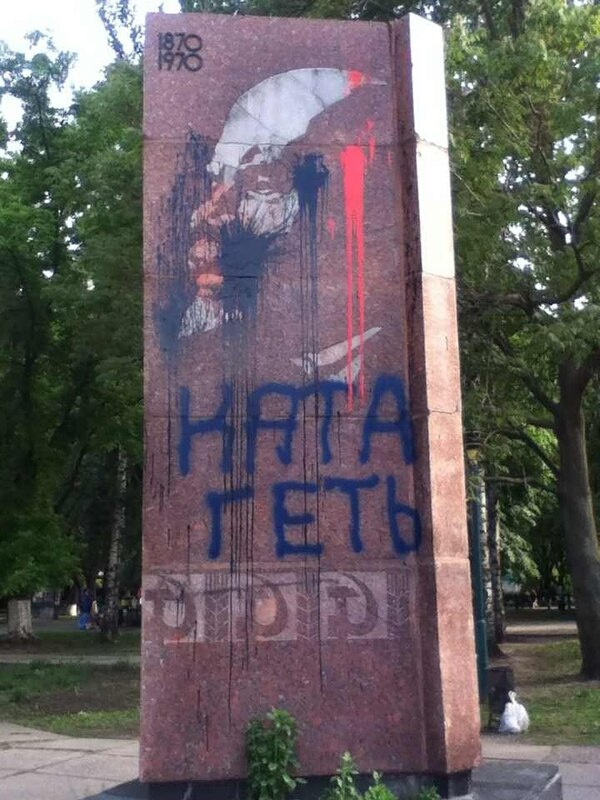 The monument to Lenin was splashed over with paint and the words “Down with the killer” were written on it. After a few days the monument was duly cleaned waiting now for November 21, the deadline for its removal. To all intents and purposes, the pro-Russian party defends its cultural and ideological base laid down by the tsarina Elisabeth in 1754 when the city was founded as a fortress – an outpost to fight the Ukrainian and the Tartar steppe. The-21st -century admirers of the Elisabethian times, having no ideology of their own, are clinging to communist values, like the Great Victory (i.e. the victory in WWII, which they call – in the Russian way — the Great Patriotic War). 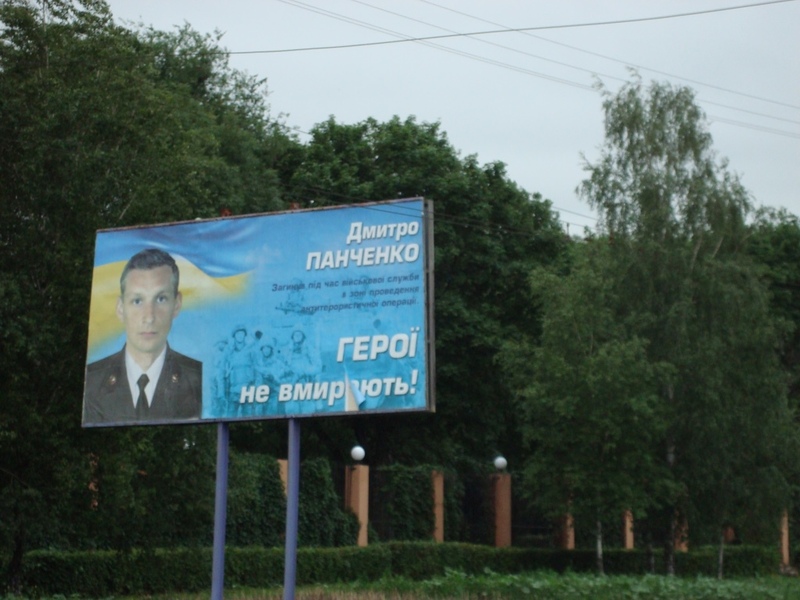 The Ukrainian side stresses the tragedy of the war, rather than the victory in it. Hence, the war of billboards in the city. Being a resident of another city, I cannot jump on the Ukrainian bandwagon here, even though I’m Ukrainian through and through. Besides, the generational factor plays its role too. What remains for me is mainly to observe and blog about what I see. 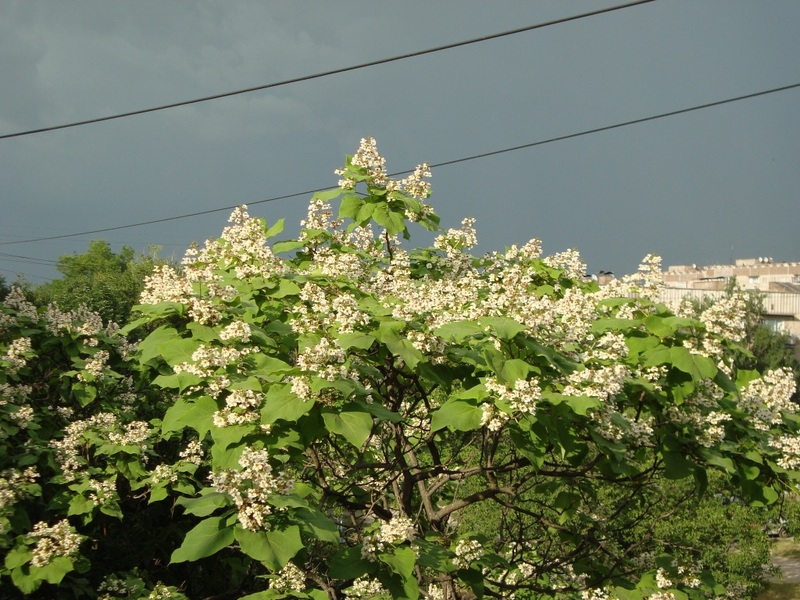 Always, when I come to Kirovohrad I marvel at mighty catalpa trees that bloom right in front of my windows on the fourth floor, jog in the park across the road (I think, one of the most beautiful parks in Ukraine) and walk the lanes I walked fifty years ago. Yesterday I took my camera and strolled round the neighborhood – to the school my wife and I had gone to together as teenagers, and to her parents’ former household, which we had sold soon after her parents had died. This time I picked a handful of cherries from a cherry-tree at their house. In point of fact, that was the cherry-tree at which the girl who years later became my wife, and I used to stand – in a classical way –for hours before I usually said good-bye to go home before midnight. 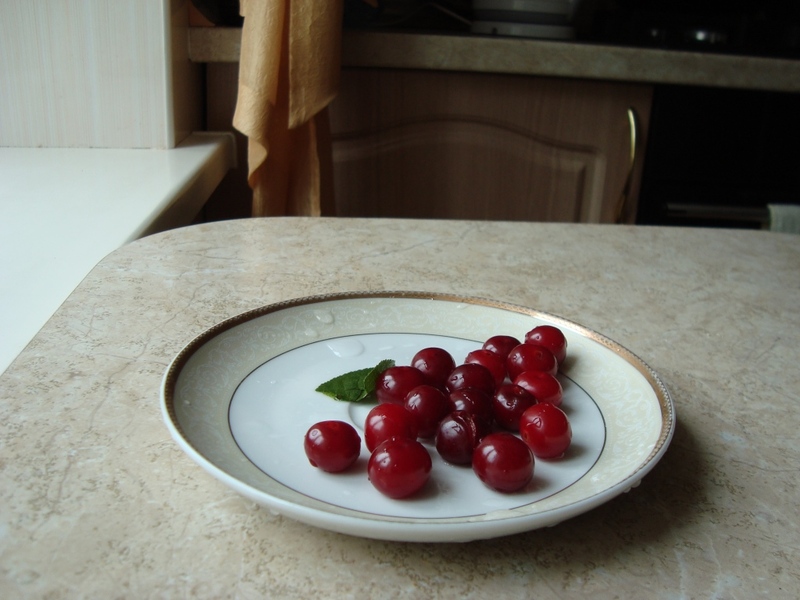 When I returned from my stroll, I washed the cherries, put them on a saucer and moved the saucer across the table to my wife. “Guess what kind of cherries they are,” I said. Lyuda tasted the cherries, squinted her eyes at me and shook her head. “Dunno,” she said. “Aren’t they too sour?” I said where the fruit came from. We laughed – understandingly and happily. 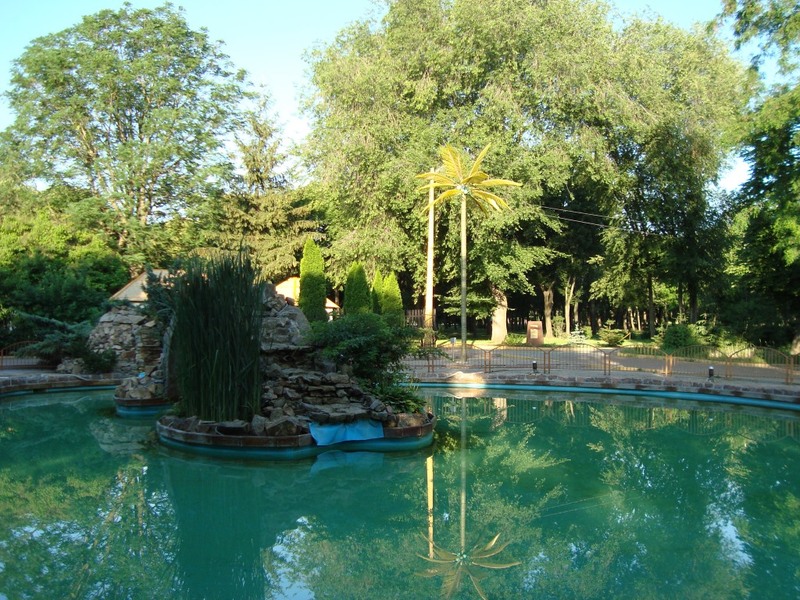 You are currently browsing the BLOGGING IS LIVING blog archives for June, 2015.